Some novels are cracking good reads – they’ll have you reading late into the night as you tell yourself ‘just one more chapter …’ Other novels are more ideas-based – they’re the kind that leave you ruminating long after you’ve finished reading. But the best novels – like The Legacy – are a compelling mixture of the two. The prologue is voiced by Ingrid, but the rest of the novel is narrated by best friend Julia as she attempts to unravel the mysteries behind her disappearance. Did Ingrid really die on 9/11? And if so, how? As one character points out, 9/11 would have provided the ‘perfect cover’ to commit murder. Or has Ingrid managed to devise some completely different fate for herself? And what would it mean for her friends if she had? So absorbing are these questions that the insights this novel offers – on friendship and its impact on identity, for example – sneak up on you and it’s not until the very end that you realise quite how much was at stake for Julia. 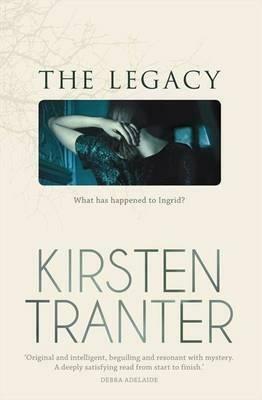 Captivating and thought-provoking, The Legacy will have you turning the pages and then thinking about it – long after you’ve finished reading.